This past weekend we celebrated our 7th anniversary at Status Transportation. 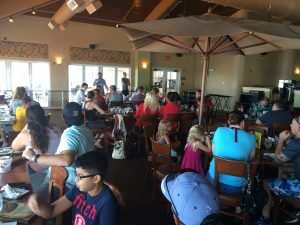 It is very important for us to share our accomplishments with friends and family members so this year we reviewed and especially hand-picked Milliken’s Reef Restaurant in Port Canaveral, FL for its friendly and family environment. 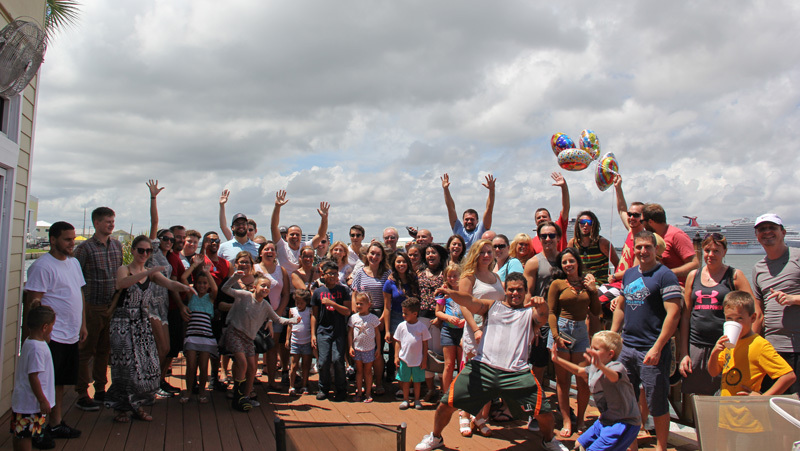 Both Milliken’s and Jetty Park in Cocoa Beach, FL were the perfect setting for our daytime beach themed birthday party. The company founder started off the gathering leading the team on a breathing exercise while inviting everyone to focus and return to the heart. John also took a brief moment to express his gratitude toward managers, the team and owner operators for their effort in helping Status Trucks to become the thriving company it is today. We realize that this would not be possible without blessings from above. We have grown collectively as a family pulling and striving together toward the same goal of serving owner operators and each other in a healthy and positive environment. This practice helps us to build a sense of belonging and loyalty that can be seen in dispatchers, team members from other departments and owner operators who have been with Status Transportation for a while. Dmitry Leontyev, our general manager, acknowledged the dispatcher’s team for their hard work and encouraged everyone to continue building a great company. Status has been growing at a very fast pace but has always kept a personalized touch. This approach to customer service is what makes it so different from any other trucking company. It’s been seven years since Status Transportation first opened its doors with just one truck and trailer in Oakland, FL. Today we feel grateful to have the opportunity to serve many more owner operators by expanding to our headquarters in Winter Garden, FL, and our branch in Atlanta, GA.
From the management team at Status, we are extremely thankful to everyone who joined us. We look forward to many more years of success and fruitful collaboration. P.S. Congratulations to our Atlanta team for winning the Status Beach Soccer Tournament!